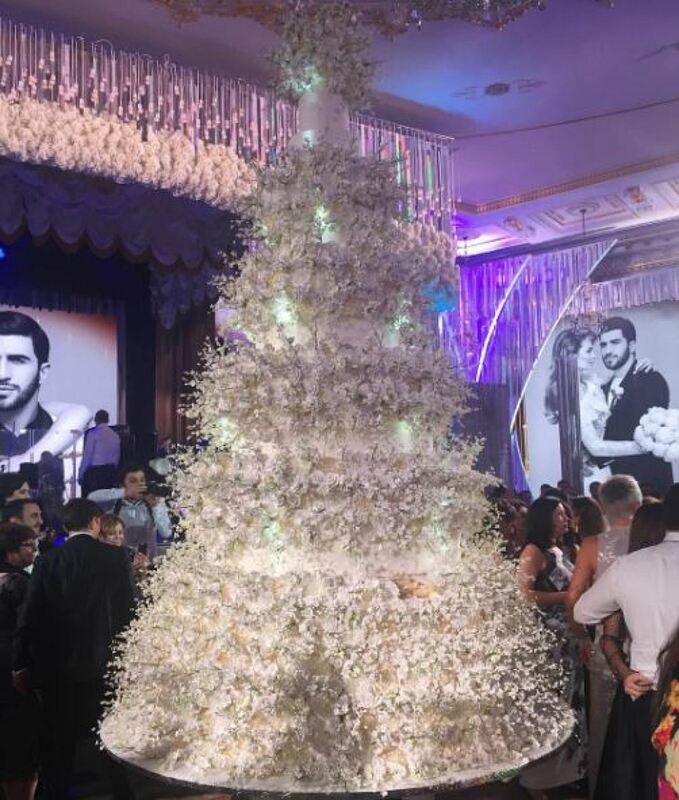 Forbes billionaire Samvel Karapetyan paid for Maroon5 group, $ 200 thousand for bride’s crown and 6-meter-long cake for 500 guests. 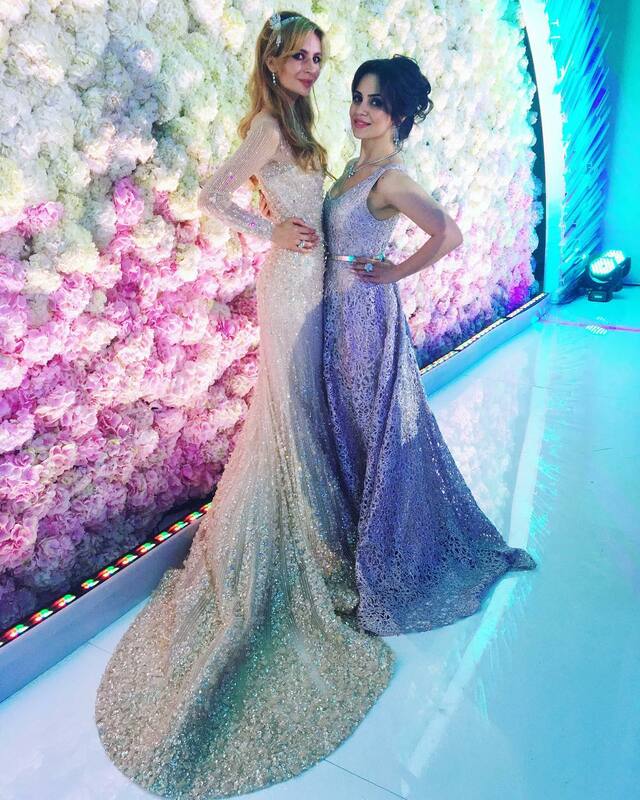 The owner of the group "Tashir" companies, the billionaire, ranked 26th place on the Forbes' list, Samvel Karapetyan married his son. 23-year-old Sargis Karapetyan found happiness with the beautiful 25-year-old Georgian woman Salome Kintsurashvili. 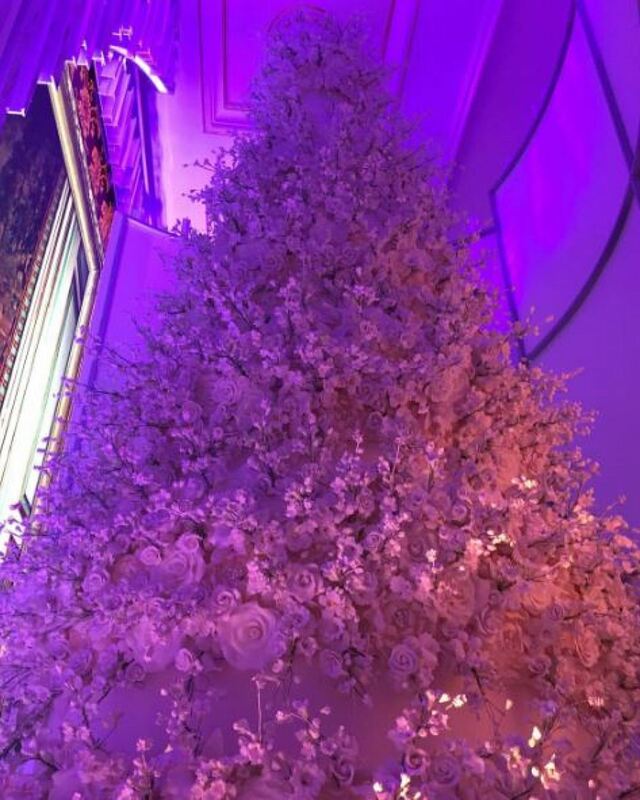 Judging by the decoration of the hall, the pomp of the ceremony and the number of the guests, it can be concluded that their wedding is better than Gutseriev’s. 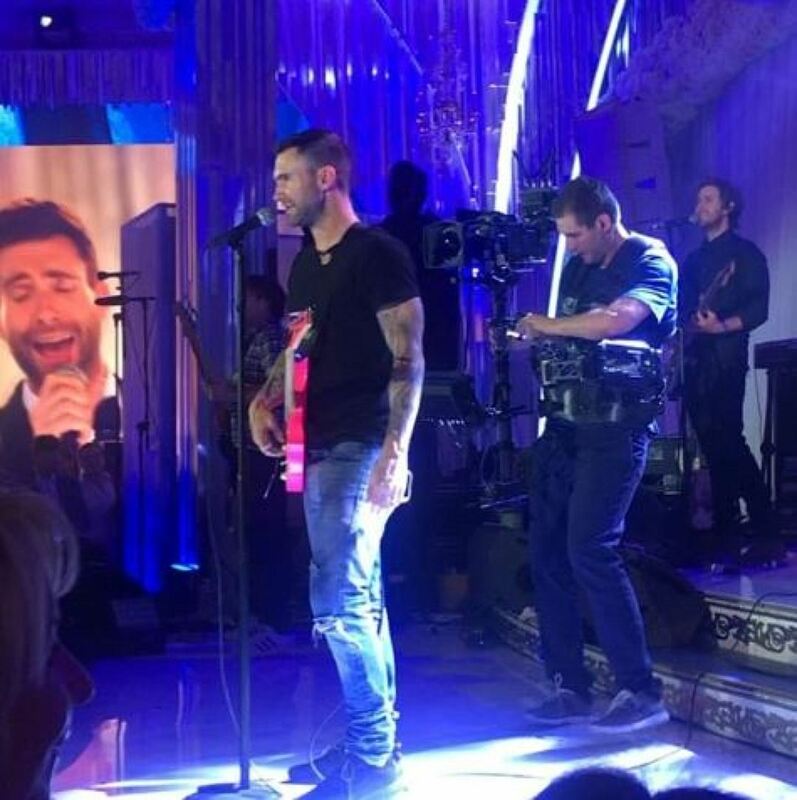 Many would think that their wedding is cooler than Gutseriev’s: for dessert - Adam Levine and Maroon 5, super popular worldwide group, which the day before were at Olympic Stadium in Moscow. 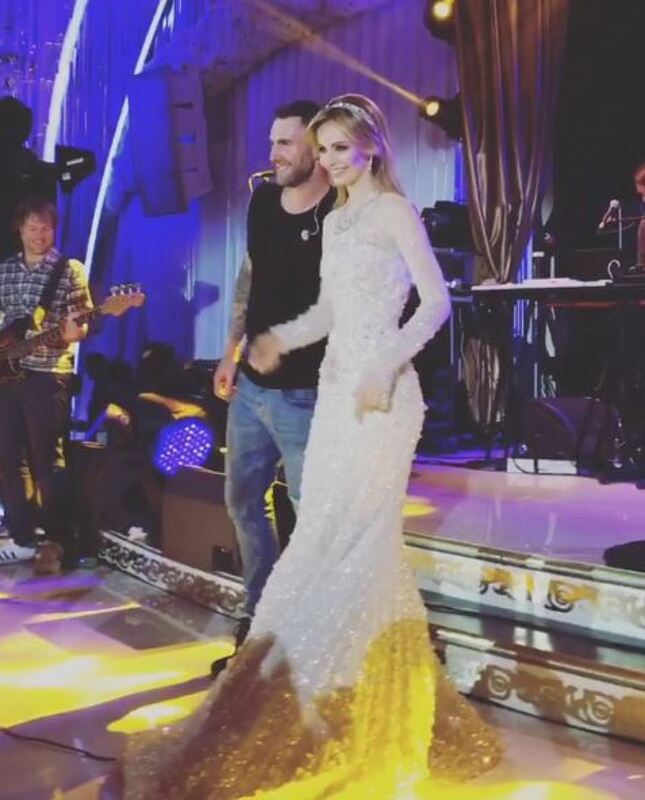 And now, the young bride standing on the stage with one of the most beautiful men in the world (yes, he is also considered among the most attractive men in Russia) and sings hits of Maroon 5, as well as tens of thousands of people before. 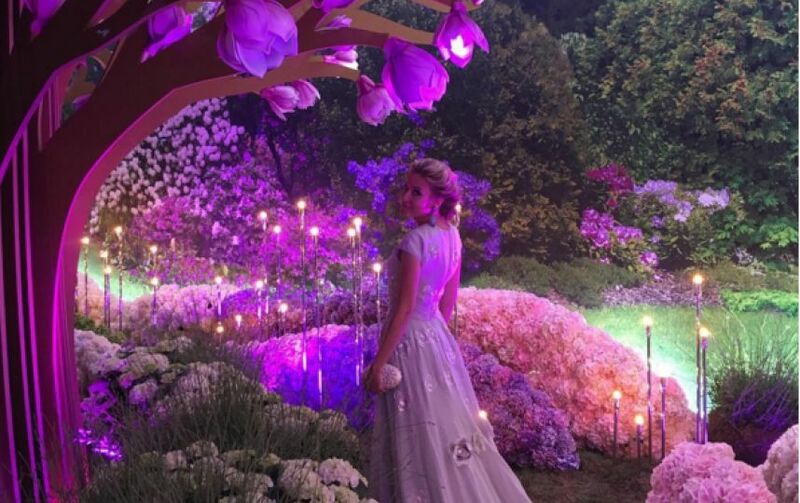 500 people were invited to the wedding. 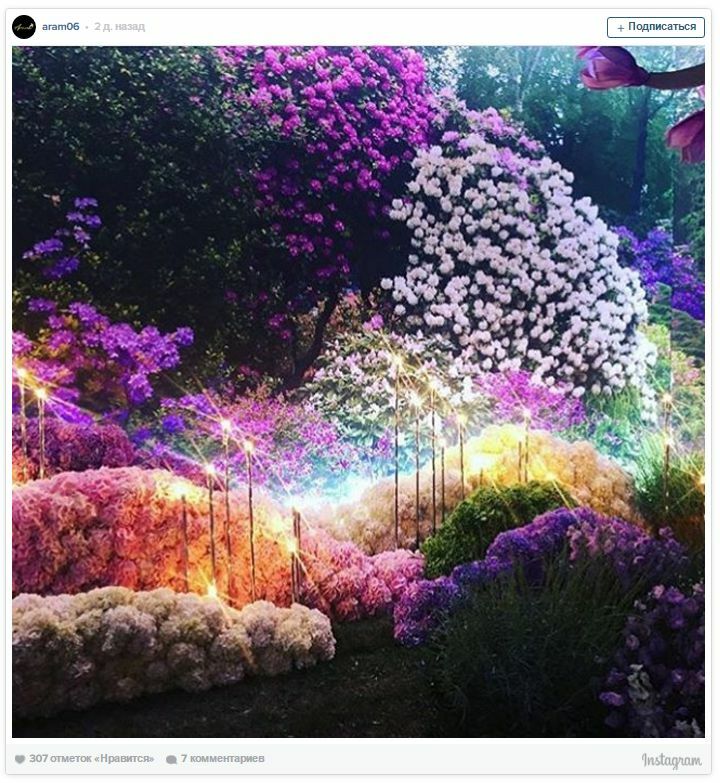 500 guests, the incredible beauty of the 6-meter cake that Vera Brezhneva posted on her Instagram. "It is the first time I see that a cake touches the ceiling" - said the host. A Malakhov called it "a real work of confectionary art." National Dances (Armenian and Georgian), vibrant colors (a magnificent installation on each table), a huge portraits of the newlyweds on the walls. "Safisa" drawn up in the style of a magical forest from any Disney fairy tale - bright and amazing colors. According to experts, Maroon5, may ask about 500-800 000 dollars. The wedding program included fireworks. It is said that the President of Armenia, Serzh Sargisyanu, who also attended the event, liked the celebration very much. 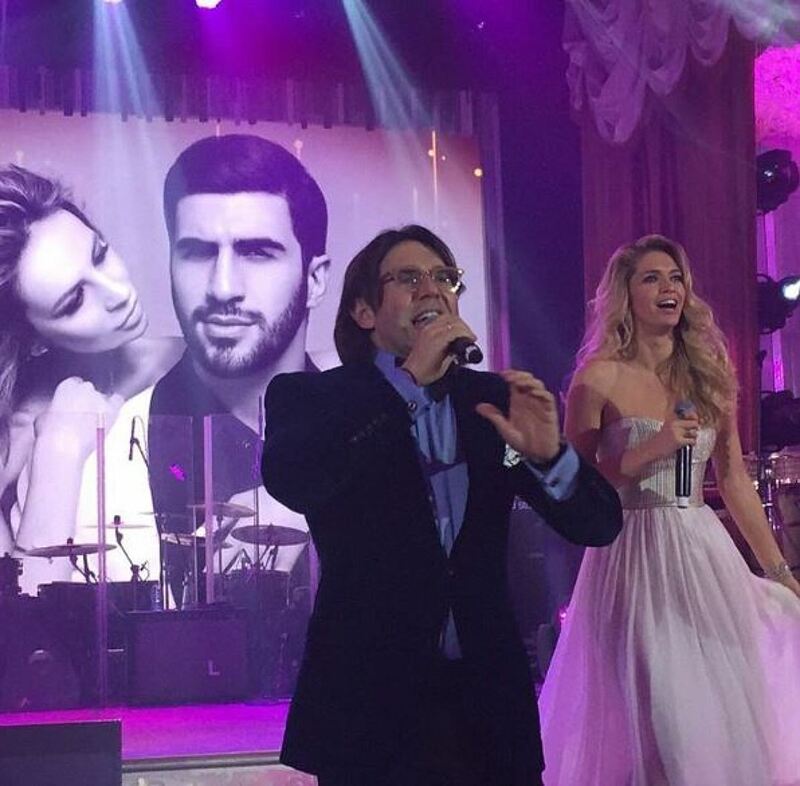 According to rumors, the wedding didn’t cost a fortune, as Gutseriev’s - Maroon5, according to experts, may ask about 500-800 000 dollars because they did not have to fly to Russia and specially to be placed. 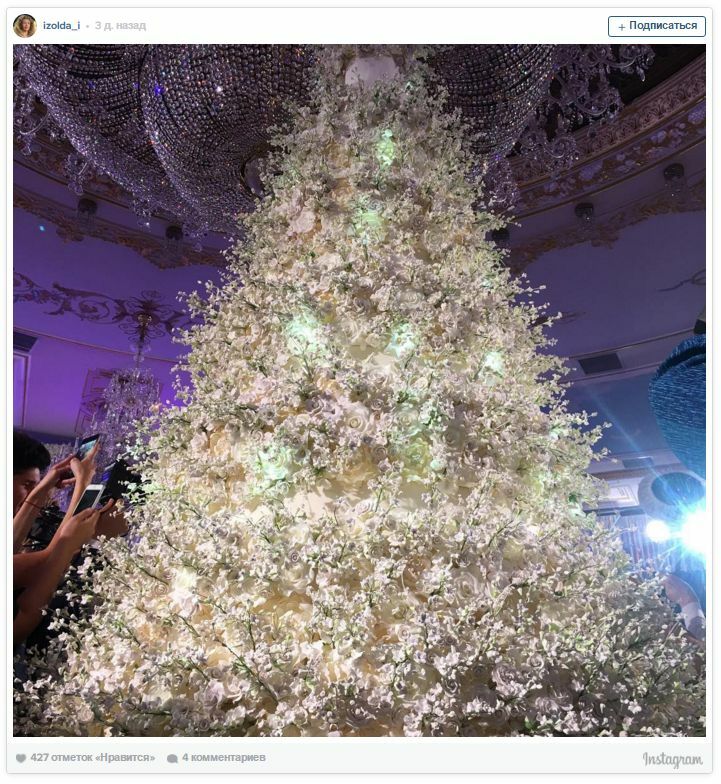 Fees of Russian artists are known, refreshments, cake dresses - too, everybody can understand how much it costs. 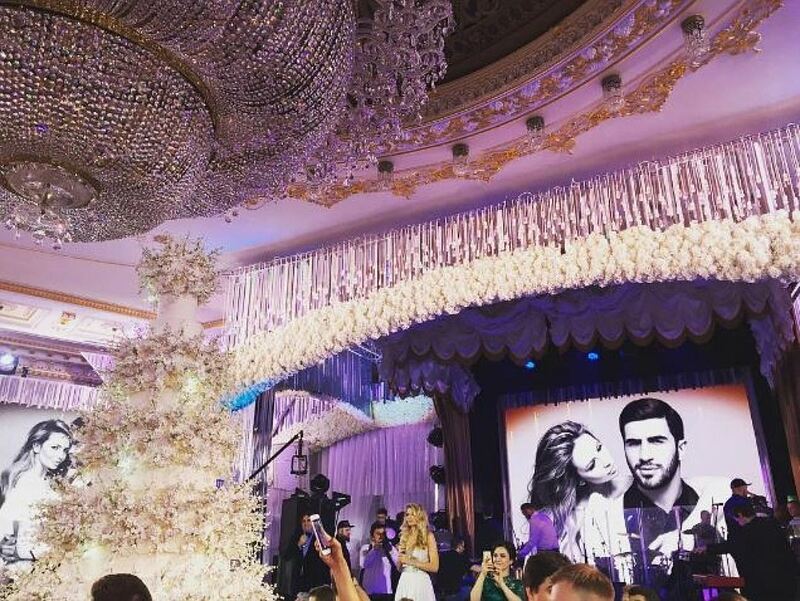 As a result, we estimate a wedding of Karapetyans no more than $ 2 million. 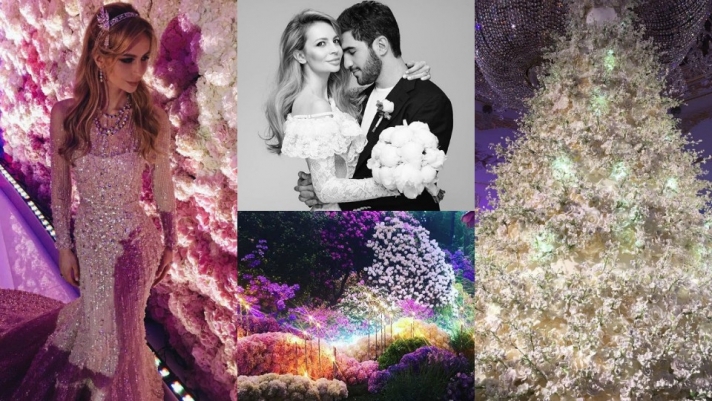 Still, of course, more details emerge about the decorations and presents to the guests, but we can already see that in spite of all the pomp of the celebration, it was not the most expensive wedding. 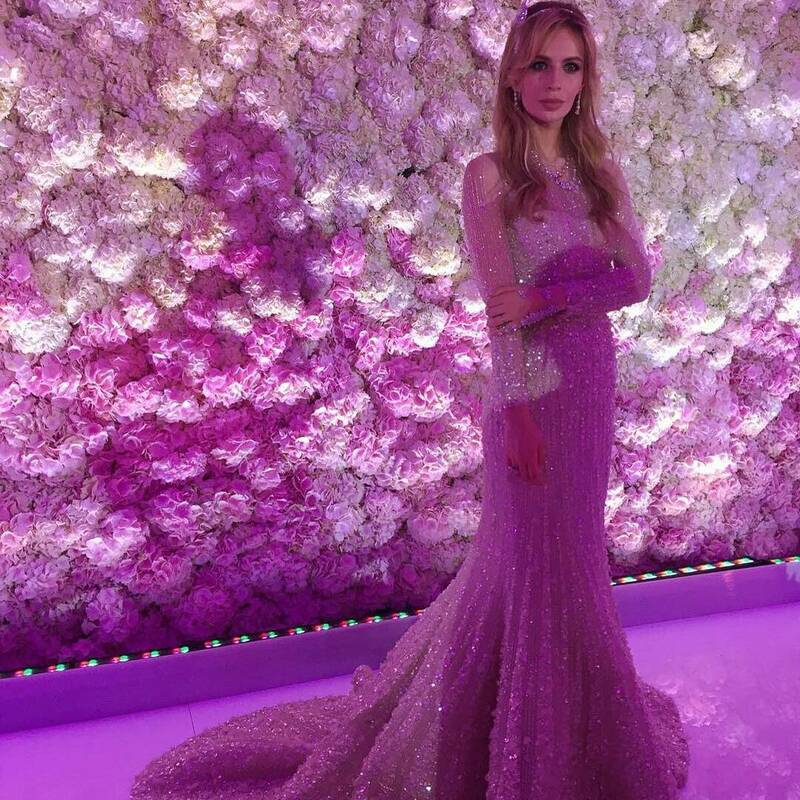 The bride's dress was by Elie Saab, but not so pompous and ponderous as the bride of Gutseriev’s wore. Salome wore a beautiful diamond Savoy tiara by Tiffany & Co - the same as Carey Mulligan wore on the set of "The Great Gatsby". Jewelry is worth 200,000 dollars on the Tiffany & Co official website. Promoter Tabriz Shahidi shared a photo with the artists participating in the evening. 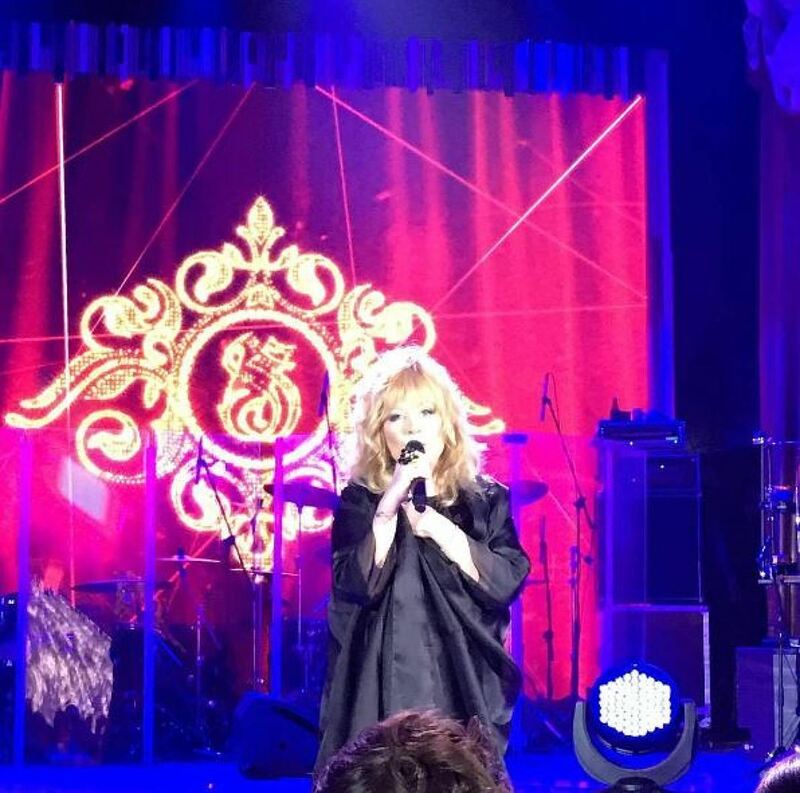 Philip Kirkorov interrupted his tour to perform on the wedding, as well as Valery Meladze, Timothy, Sofia Rotaru, and Dima Bilan, Nikolay Baskov - in addition to those already mentioned. 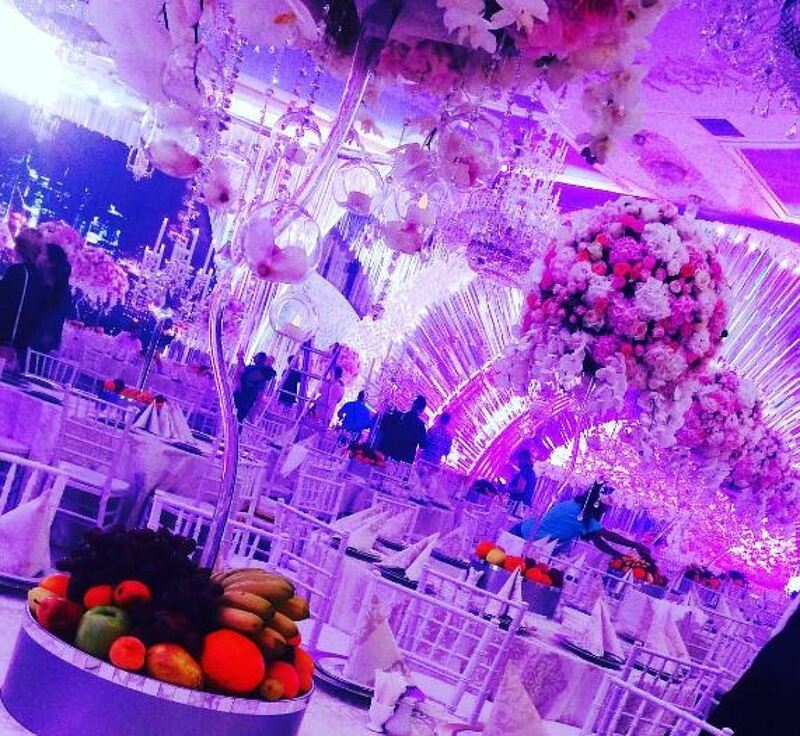 Wedding of Karapetyans definitely "made" wedding of Gutseriev.